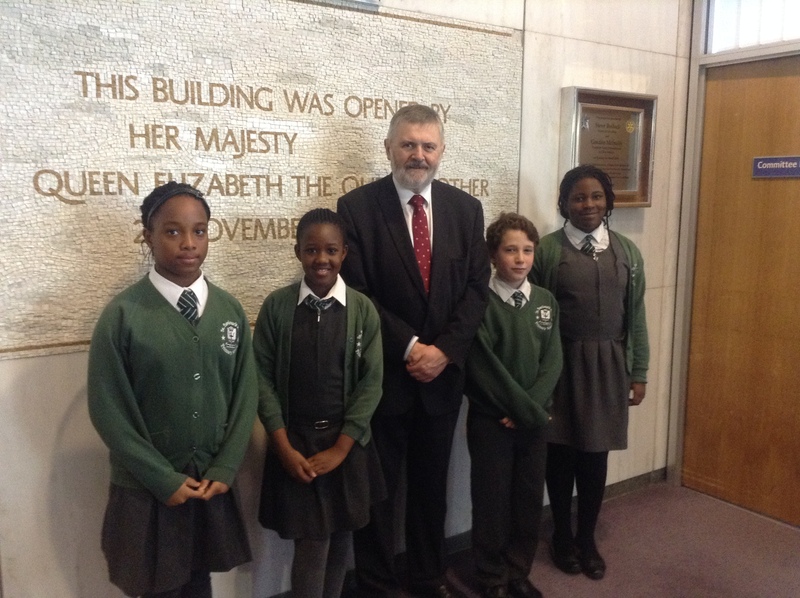 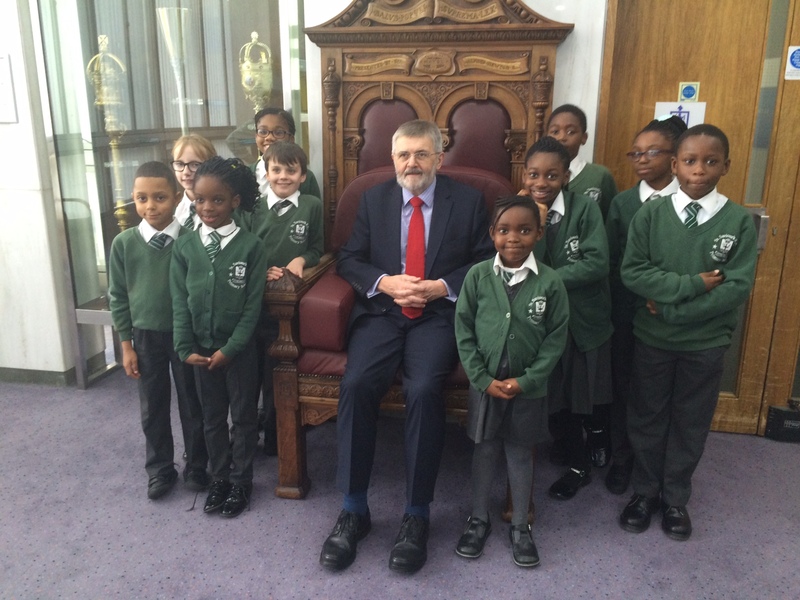 In November members of the School Council were invited to the Mayor’s Chambers to meet with him, ask questions and discover more about the Mayor’s role. 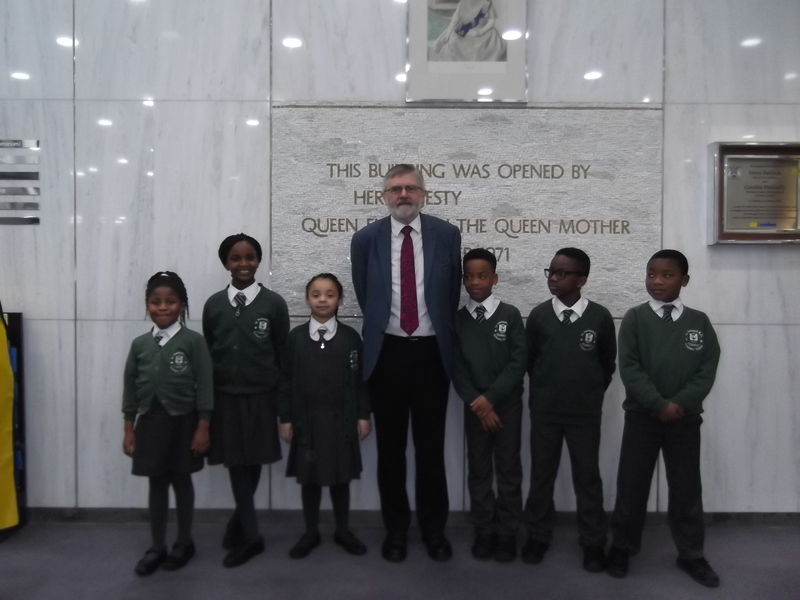 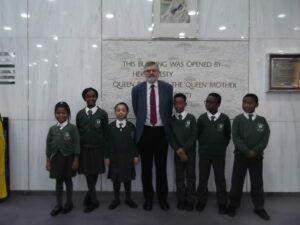 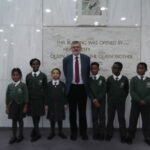 School council members were invited into the Committee Room, where they met the current Young Mayor, Emmanuel and some of his advisors, as well as Junior Parliamentary Representatives. The group explained how the Young Major is elected, the process of campaigning and voting, through to election. 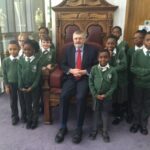 Can you spot the next Young Mayor?